Hungarian troops in Denmark? In 1945 Hungary’s generals and officers continued to fight alongside the Nazis serving the Third Reich even after the war had ended in Hungary. The occupation of Denmark was one of the most disturbing adventures of Hungary’s pro-Hitler army. Hungarian occupying forces in Jutland, Denmark. In February 1945 Budapest was already free. The Red Army controlled eastern Hungary and Budapest; American and British planes mercilessly bombed the remaining German Nazi and pro-Hitler Hungarian forces. Months earlier, in October 1944 Horthy had been removed and in December the country had a Free Parliament in Debrecen. Yet the remaining Hungarian Army have regrouped and continued the senseless fight with the German Nazis. Hungarian army officers still believed in Hitler’s invincibility and hastily organized four new divisions. The untrained soldiers retreated to Germany for a quick preparation before being sent to an almost certain death. Nazi Germany still had thousands of well rested occupying troops in Denmark, so it was decided that 12,000 poorly trained Hungarians would march into Denmark to replace them. The Germans were sent to the front where most of them perished and the Hungarians became part of the Nazi occupying force in Denmark. 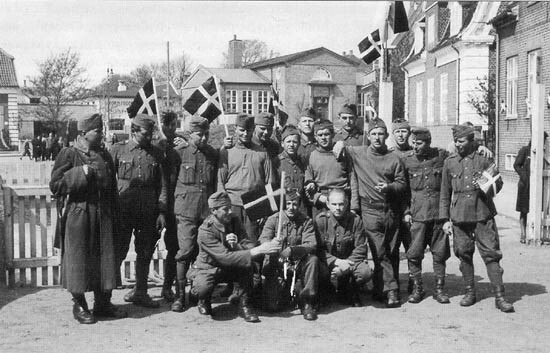 Hungarian soldiers with Danish flags in 1945. The Germans were not nice to the Danish people, antifascist resistance was brutally oppressed. After the liberation of Ryvangen 200 corpses were discovered, some still lying on the surface. Members of the Danish resistance had been cowardly executed. The Hungarian occupying force turned out to be clumsy and unreliable. German officers looked down on them and often used them as forced laborers. There is anecdotal evidence that Hungarian soldiers had friendly relations with the Danish population and even had skirmishes with their Nazi comrades in Copenhagen when a smaller rebellion broke out against the German superiors. The short lived occupation ended in May 1945 and the Hungarians were sent home. Those who were stationed on Bornholm Island ended up in Soviet POW camps since the island had been liberated by the Red Army. 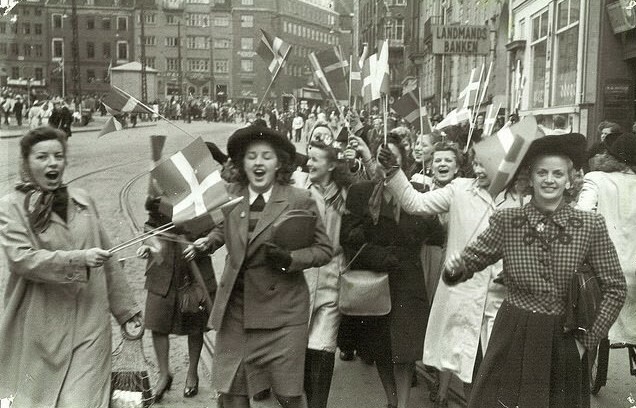 People in Copenhagen are celebrating the defeat of Nazi Germany in May 1945. Now for fairness, to balance the evidence, there ought to be a report of all the foreign occupying troops that have invaded and occupyed , and their actions in Hungary, and their relation to the people. Would that not be fair ??? Most likely that this post never will see the daylight. After doing a few clicking on the web, it was fast to find out that the author got his above posted photo ,as well his data from the “biowang.blogspot”. The only thing do not match is the details presented on that blog-page. So do the rest of the photos tell a better story, as well. 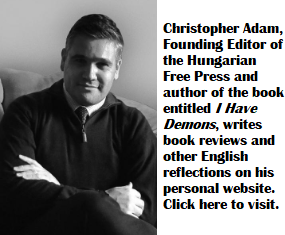 The author presented his article to shame Hungary as well those unfortunate young Hungarians who could not escape the war. Especially those that were sent to Bjornholn island and were taken by the the Red Army to Siberian gulags. The fact is that the German military was concentrating all possible forces to the front. Thus replaced their troops occupying Denmark with young and new Hungarian troops, who were lacking combat experience,as well the German military did not trust. Those Hungarians in Denmark felt like being home with the local Danes. They get along well even with the so called ‘danish resistance’. They resisted the Germans, and even rioted against the Germans, and some were taken prisoners by the Germans. They have developed a good relation with the loval Danes, that were disruppted by the Soviet occupation of Hungary. As matter of fact, a local gentleman from where I grew up told lots of stories about his ‘adventures’ in Denmark during the war. He , and all who returned from western captivity was ‘distrusted’ for it by the regime in Hungary, and his life was destroyed, the way he, and others were treated by his so called ‘own Hungarian government’, the “people’s government”. He worked under Lazar’s Juctice Department, for which he was assigned to work on bridge building. Not used to work above rivers on a plank ,he so often fell in the rivers. Finally he took his own life. The Hungarian people’s Republic held the world record of suicide in those days. I’d think, if I may, that had been more shameful, than the misfortunate presence of some forced young men in Denmark ,as forced upon them by the German National Socialist government’s action in an insane war, not their own. Now who’s shame would that be ? I suppose, the blame the victims is always the easiest and most popular in Hungary to this day. Mr. Lazar, Hungary was not liberated by the Russians but occupied!!! The Huns more bloodthirsty than the Germans. As reminded daily to me by my father. His youngest brother, Willike shot in the head just close to Graz, Austria by Hungarians in 1944 last days when war ended. Don’t worry they will not apologize or even acknowledge. Was not the Soviet occupation of Bornhom island till April of 1946 shameful ? The Soviet bombing in may of 1945 did cause considerable damage of a small island, while the Hungarians have not . Nice work and reasonable article from Mr. Lázár. It is something that we all can agree with on a bi-partisan base. Every occupation was and is shameful, regrettable and deplorable regardless of the underlying explanation. It is also (if correct) sad that since “this shameful incident” none of “the Hungarian Government never apologized to the Danish people”. Forget not that the successive Socialist governments could have been the most authoritative to do so as they were against and condemned the regime that pushed our country into the war. It might be worthy to do more research on the subject as I would suspect that such apology might have been offered (and wish it indeed happened) to the Danish people. It made me feel better to read that “The Hungarian occupying force turned out to be clumsy and unreliable.” At least it tells us that our boys were forced into something that they did not agree with but had no say in the participation. May I just mention the 1968 occupation of Czechoslovakia? I was a drafted solder at the time … need to tell you more? We did not volunteer to be sent there either. Did it ever occur to the author that perhaps those Hungarian officers were not fighting for Hitler, the Nazi cause or any such nonsense, but perhaps because they were still hoping for a miracle on the Eastern front which might have sparred their country, families and nation from the Soviet nightmare? It might have also spared about 2.5 million ethnic Hungarians from returning to the nightmare they were living as an ethnic minority in neighboring countries, which they experienced through the inter-war period, and are still experiencing today. Certain powers unjustly decided to sentence 3.5 million ethnic Hungarians to the nightmare of permanently living as subjects of largely hostile nations 100 years ago. about half of them could have justifiably been saved by applying the simple concept of demographic delineation. In other words, areas that were inhabited by an ethnic Hungarian majority along Hungary’s current borders, should have stayed part of Hungary. The rest could have at least been subject to some pre-conditions in terms of their fair treatment. But 100 years later, even as over 2 million of their descendants still suffer from the after-effects of that injustice, I am yet to hear an apology from anyone involved. Re. your “net improvement” the Hu occupiers brought compared to the German once. Than the Hungarians have to appreciate the same net improvement the Soviet troops brought to Hungary – unlike the previous Hu gov of Szàlasi, they didn’t torture and kill Jews, suspected dissenters, deserters and draft dodgers, or plain Hungarians they didn’t like. The Slovaks, Serbs, Romanians and Jews who lived in the Kingdom of Hu had earlier a pretty good experience on “the nightmare of permanently living as subjects of largely hostile nations” as you put it. Check out their views on record. PS: riowang is a great blog/site with lots of interesting sories! Mr. Lázár if you want to publish the article in the KMH too no need to waste your valuable time translating it, just copy it from here: http://deungarskesoldater.dk/hu/. We know by now that you are an expert of such ‘writing’. Just do it. Any one can find out the facts on that site. Hungary has NOT occupied Denmark !!! The German command moved its troops to the front, and replaced them Hungarian units that were considered by them useless in combat. In Jan.Feb. of 1945 the Germens marched 15-16 year old ‘leventek’ to replace german combat troops in many location. The shameful part was ,that when they returned home, they were mistreated by their ‘own Hunagarian government. Many were just children, but all were victims of the war that was caused by power-hungry politicians of Europe. I consider the wording “occupation”, as used by György Lázár, a bit of an exaggeration. BUT for the rest I fully disagree with your statements! Read the post I linked really and don’t implement your own bulshit to falsely attack the writer of this HFP post. Since you mentioned the case of your uncle, do not feel that you owe us ,the readers,to tell all the details of that tragic incident about him ? Was it execution, accident, fire-fight, or even the so called ‘ mercy-killing’ that has happened in wars. What were the details and circumstances? The fact is that Hungary never occupied Denmark ! 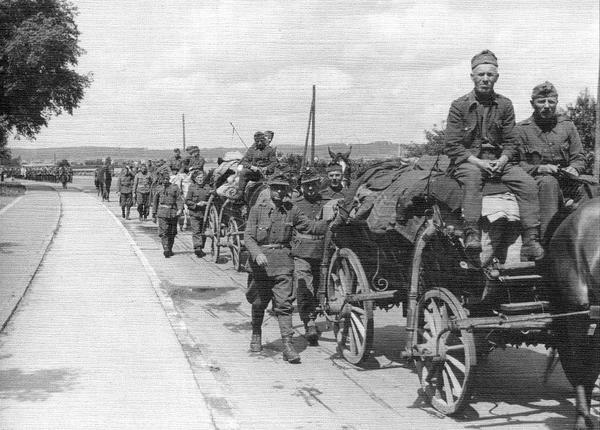 Unfortunate Hungarian conscripted men and boys were forced to march to Denmark to replace the German combat troops there. They were body-body even with the armed Danish resistance. They refused to swear to Hitler. Some were taken prisoners by the Germans for opposing them. But why were they mistreated by the Hungarian Peoples’ Democracy? And why were many taken to Siberia ??? All German allied units were under German military command from the start of the war to the very end. And just why is Hungary again a military ally of the same powers ??????????????????????? – the “unfortunate Hu conscripted men and boys” happened to be soldiers under gov command (like all soldiers) making the Hu gov responsible for this operation, a contrary eg. the Bulgarian gov refused to send troops to the eastern front, earlier in the occupation the Danish parliament gov just went home and did not co-operate with the occupiers. – unlike other Hu soldiers/fascists who continues perpetrating crimes (killing innocent civilians was a crime even then) until the last days of the war. Thank you for asking. Willi was shot execution style on a forced march with other Jewish prisoners. No record of where his body was thrown in, mass grave, or by a road, outside Graz, in the last days of the war. I can send a picture the only one we have – he is forever mourned in my heart- his only relative left. May 1945- killed, only because he was a Jew- and a real handsome one may I add. If anyone has info. On that forced march from (now Romania) towards Graz.